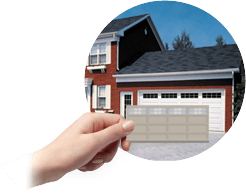 Garage Doors and Garage Door Openers in Grand Rapids, MI | Bouma Bros. Sales and Service Inc.
At Bouma Bros. 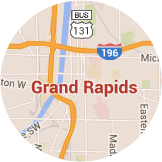 Sales and Service Inc. in Grand Rapids, MI, our doors surpass the standards of the industry. They last and they will give you and your family a sense of security. Is your garage door showing signs of wear and tear? We offer a repair service that surpasses expectations every time. Our technicians will gladly take care of any problem you may have. At Bouma Bros. Sales and Service Inc., we have a dedicated team of technicians and repairman that are absolutely outstanding. They are happy to serve you and can guarantee a great experience when purchasing your new garage door. Looking for a garage door upgrade, but you’re not sure where to look? Thanks to our Design Centre, you can see which style works best for your home. Compare the models and accessories too. You can try until you’re more than happy with your choice. It’s easy enough for anyone to try! Give it a go and create your masterpiece! Time to change out your garage door? We have what you’re looking for at Bouma Bros. Sales and Service Inc.! We have many possibilities and even more styles and designs to choose from. One is bound to be the talk of the neighborhood. 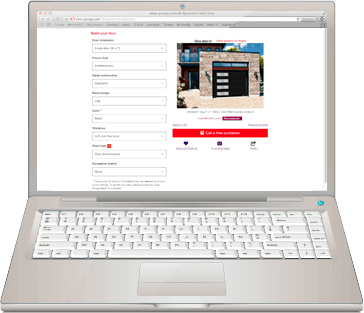 We will make sure you are provided with the best service possible, without needing to be asked. Our garage door specialists will give you the best advise for your specific needs, taste and budget. At Bouma Bros. Sales and Service Inc., we understand how forgetful we can be. You’ve probably already forgotten your house keys before and had to sit and wait for your savior to come with a spare set of keys. LiftMaster garage door openers can save you from those horrible situations. With the latest Internet technology, you can control your garage door’s activity with just a touch of a button, on almost any device. 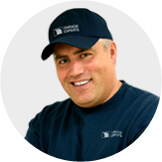 Installers, technicians and repairmen working for our company are the best of the best. At Bouma Bros. Sales and Service Inc., our customers are the most important people to us. We push ourselves to provide them the best possible service, always considering their needs, and budget. That is why, our technicians always make sure all installations are checked again and again until it’s perfect. To guarantee your garage door’s operating system is running to the best of its capabilities, call us at Bouma Bros. Sales and Service Inc., and we’ll send one of our best men to check it out!